I hope this message finds you well. 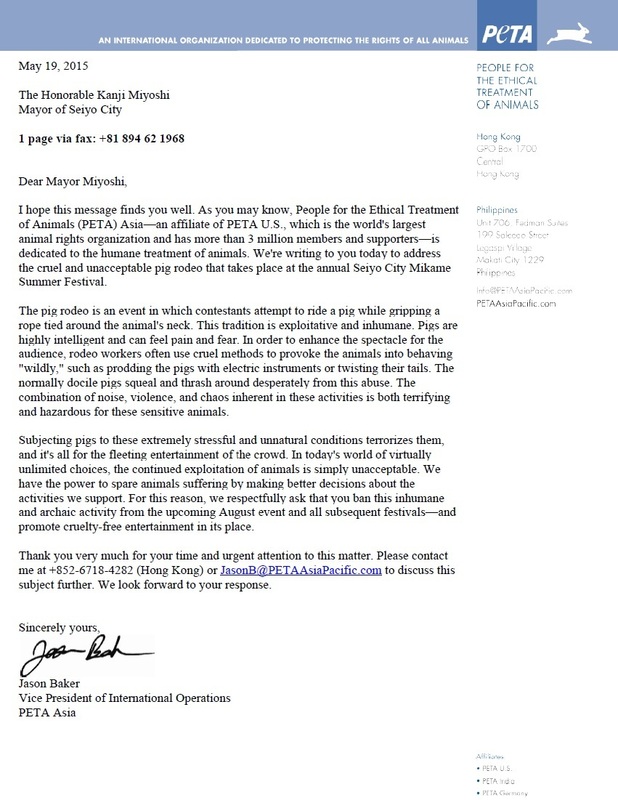 As you may know, People for the Ethical Treatment of Animals (PETA) Asia—an affiliate of PETA U.S., which is the world's largest animal rights organization and has more than 3 million members and supporters dedicated to the humane treatment of animals. 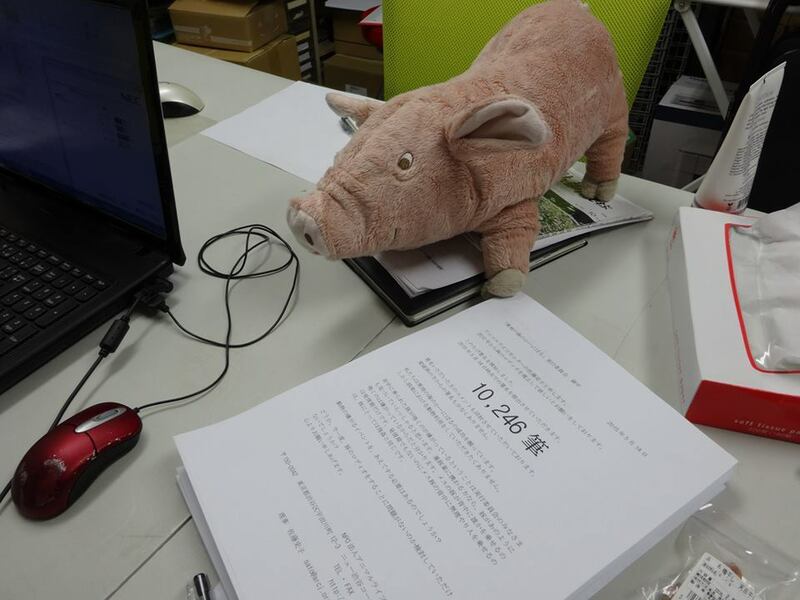 We're writing to you today to address the cruel and unacceptable pig rodeo that takes place at the annual Summer Festival. combination of noise, violence, and chaos inherent in these activities is both terrifying and hazardous for these sensitive animals. Subjecting pigs to these extremely stressful and unnatural conditions terrorizes and it's all for the fleeting entertainment of the crowd. In today unlimited choices, the continued exploitation of animals is simply unacceptable. We have the power to spare animals suffering by making better activities we support. For this reason, we respectfully ask that you ban this inhumane and archaic activity from the upcoming August event promote cruelty-free entertainment in its place. Thank you very much for your time and urgent attention to this mat me at +852-6718-4282 (Hong Kong) or JasonB@PETAAsiaPacific.com subject further. We look forward to your response.